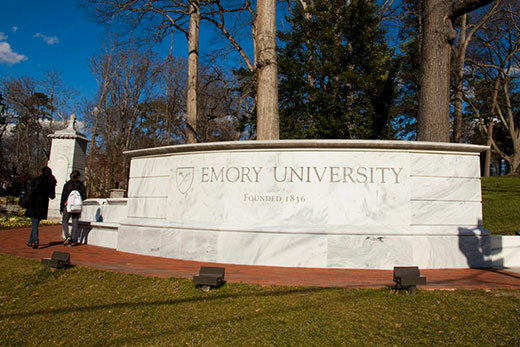 Emory University has joined 16 other research universities around the country in filing an amicus brief opposing President Donald Trump's executive order restricting immigration. According to the brief, because research universities, as part of their global mission, "seek to educate future leaders from nearly every continent, attract the world’s best scholars, faculty and students, and work across international borders, they rely on the ability to welcome international students, faculty and scholars into their communities. The Executive Order at issue in this case threatens that ability, and creates significant hardship for amici’s valued international students, faculty and scholars." The brief was filed Feb. 13 in the United States District Court for the Eastern District of New York. In addition to Emory, signers include Brown University, Carnegie Mellon University, University of Chicago, Columbia University, Cornell University, Dartmouth College, Duke University, Harvard University, Johns Hopkins University, Massachusetts Institute of Technology, Northwestern University, University of Pennsylvania, Princeton University, Stanford University, Vanderbilt University and Yale University. Earlier this month, Emory President Claire E. Sterk and 47 other American college and university presidents sent a letter to Trump urging him to "rectify or rescind the recent executive order closing our country's borders to immigrants and others from seven majority-Muslim countries and to refugees from throughout the world." "If left in place," the letter says, "the order threatens both American higher education and the defining principles of our country."